I chose Moc Chau for the pilot destination for As Above So Below because I'd been there about 10 years ago on a trip with some local photographer friends and I remembered vividly all the beauty the rural area has to offer. A big part of this project is giving myself a chance to revisit places I've been to in Vietnam either on assignments with someone else story in mind or early on in my career when I was still learning the basics. Mộc Châu is a rural district of Son La Province in the Northwest Northwest region of Vietnam. As of 2003 the district had a population of 118,867. The district covers an area of 2,025 km. 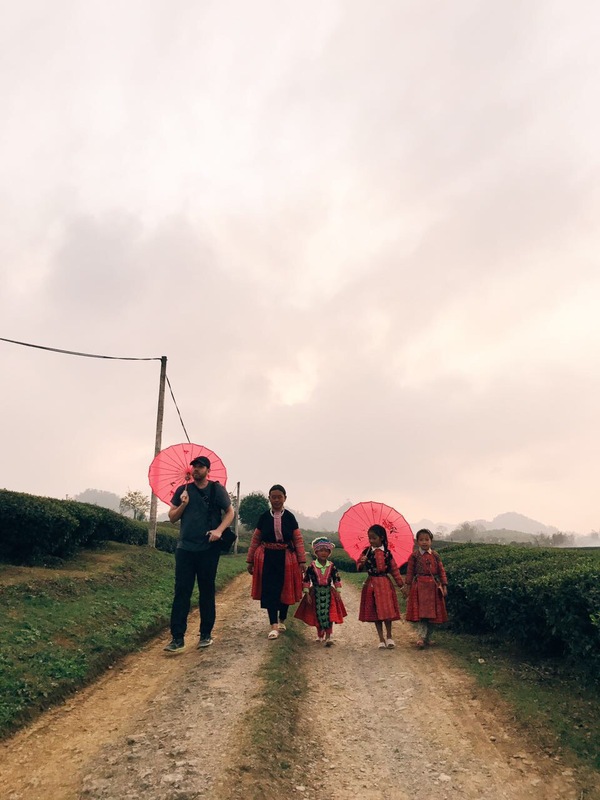 What sparked my interest about Moc Chau is their famous rolling tea fields so we ventured out to find the perfect location. The first day we found a beautiful plantation but the weather wasn't what I was looking for. I wanted to capture the rolling gray fog as it drapes the flowing tea fields. The unique aspect of this project is I'm not looking for dozens of pictures for a client or for an editorial layout in each location. Instead I'm searching for 2-3 diptych series (above and below) allowing me to slow down, be patience, and hopefully capture something special. We typically start by sending up the drone in a promising location and seeing what we can find. If I get something I feel is worth of the project, then the challenge begins of hunting for a shot below to match the above drone shot. 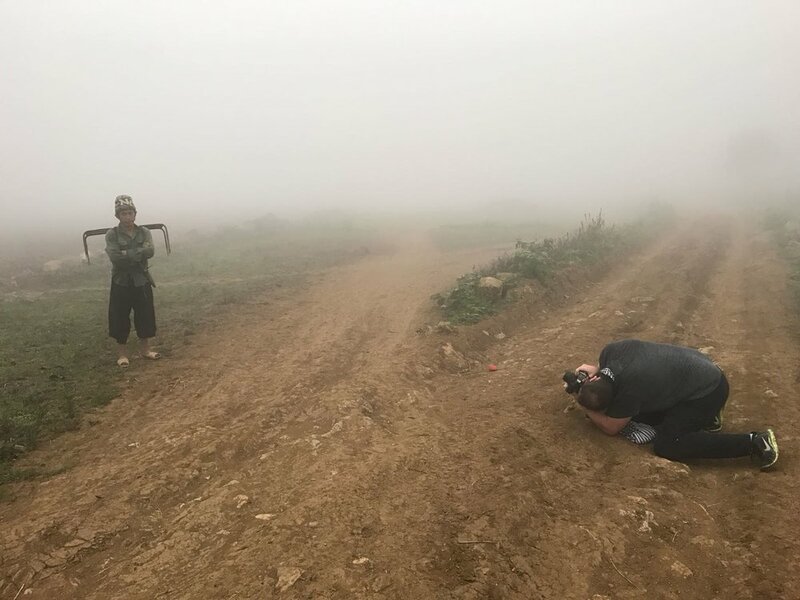 I captured an image of the fog rolling over the fields just as I was hoping to so then I searched for a tea farmer to photograph to match it. In addition to the tea fields I found a group of woman rice farmers playing volleyball in a dried up patch of farmland after it was harvested. This was an inspiring beginning to the project, I'm really excited about what we captured and now that the project has official begun I'm filled with fresh ideas and eager to go to explore our next location.